Ability Text: Target player discards two cards and loses 2 life. 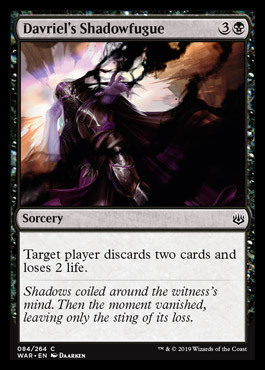 Flavor Text: Shadows coiled around the witness's mind. Then the moment vanished, leaving only the sting of its loss.